A number of events over Advising Fortnight fit into the larger trend of job-oriented marketing within the Arts and Humanities as many concentrations seek to attract more students and address their career concerns through an increase in job-focused advising events, alumni interactions, and published materials. Members of a Harvard College alumni panel gather with freshmen in the Barker Center to discuss financial opportunity for those choosing to pursue a degree in the humanities. 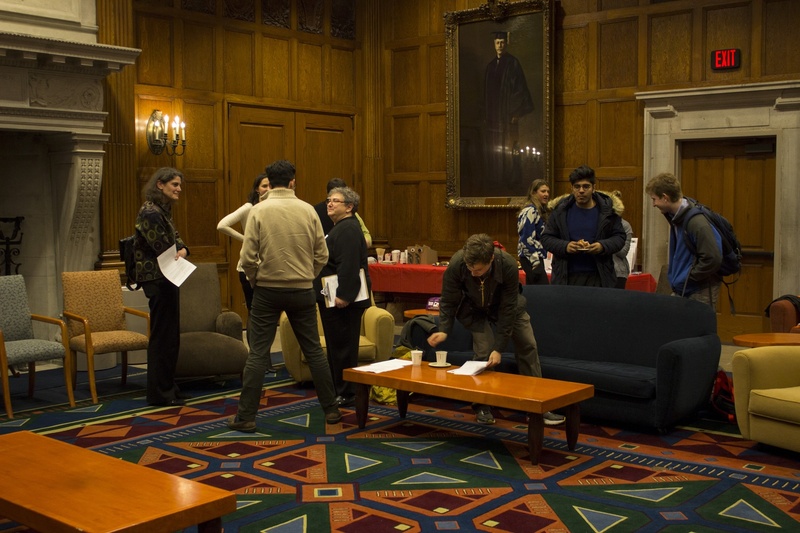 During Harvard’s Advising Fortnight, departments across the college host numerous events to attract potential concentrators. Freshmen gathered at the Barker Center, the College’s home for the humanities, Thursday evening for “The Humanities and Your Financial Future,” a panel event which brought together alumni to talk about their career paths with degrees in the humanities. About 20 students attended the panel to hear seven alumni talk about their concentrations, which included Classics, Comparative Literature, and English, and their experiences after graduation as lawyers, financial consultants, doctors, and business owners. Following the alumni testimonials, several freshman said the event reassured them about studying in the humanities. Marina F. Felix ’19 called the panel “validating.” “I’m feeling really good walking forward doing exactly what I want to do without a fear,” she said. The panel was just one of many job-focused advising events that departments have organized over Advising Fortnight, the annual two weeks of concentration advising events that encourage freshmen to think about futures in various fields of study. In addition to events on potential courses of study, some Arts and Humanities concentrations such as Classics, Germanic Literatures and Languages, and Romance Languages and Literatures also hosted career-oriented events for students during the two weeks. These events fit into the larger trend of job-oriented marketing within the Arts and Humanities as many concentrations seek to attract more students and address their career concerns through an increase in job-focused advising events, alumni interactions, and published materials. Student doubts about the applicability of a humanities degree are not new—colleges across the country have been grappling with declining interest in the humanities for years as concentrators in pre-professional fields and fields in the sciences and social sciences have increased. A March 2016 study conducted by the Humanities Indicators project of the American Academy of Arts and Sciences revealed that the percentage of bachelor’s degrees awarded nationally in the humanities in 2014 was just 9.9 percent. Degrees in the sciences accounted for 34.6 percent of all bachelor’s degrees , while business and management fields awarded 18.5 percent of all degrees. 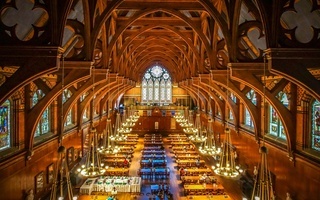 At Harvard, the humanities fair slightly better. In a survey of the recently admitted Class of 2020, 16.9 percent of students indicated they wanted to study the humanities. This marks a rise from the 14.8 percent of last year’s survey of the Class of 2019. Administrators and professors within the humanities say the imbalance between students pursuing humanities degrees and seemingly more practical degrees may reflect the belief that the humanities do not directly feed into specific careers. Professor James Robson, who serves as Director of Undergraduate Studies for East Asian Languages and Civilizations, echoed the sentiment. Bhabha added, however, that the distancing of the humanities from sciences in discussion is another prevalent problem. “So much of the debate on the value of the humanities is actually posed in opposition to the assumed value of the sciences and the social sciences,” he said. According to Bhabha, such discussion both labels the fields as mutually exclusive and contributes to the misbelief that studying the humanities is not as tangibly useful as degrees in the hard and social sciences. Executive Director of the Mahindra Center and History and Literature lecturer Steven Biel argued that it can be easy to talk about the importance of the arts and humanities, but it can be harder for students to justify such studies. “We all know the value of work in the humanities, but it remains implicit instead of explicit,” he said. In her role as Dean of the Arts and Humanities, Diana Sorensen has worked to promote the skills and knowledge that she feels come with studying the humanities. Sorensen has also emphasized the importance of making the humanities accessible to students whose backgrounds may not have allowed them previous experience in the fields. Sorensen emphasized the importance of supporting those students as well as first-generation students in the humanities. She cited the role of the humanities frameworks classes, the humanities colloquium, and that freshman seminars can play in this endeavor. 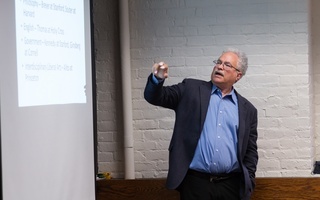 Director of the Semitic Museum and professor in Near Eastern Languages and Civilizations Peter Der Manuelian said he hopes that these courses will convince more people about the cultural benefit of studying the humanities. “I’d love to see people who are first-gen come in and say, ‘this isn’t just a luxury field or a throw away or something I don't have time for because I have a family to support or I have to meet parental expectations, but something that is going to make me a better global citizen,’” he said. While most interviewed administrators and professors did not distinguish between first-generation students and other students with regards to studying the humanities, several noted that family pressure to study something “practical” may be a factor for many students. Lecturer and acting Director of Studies in NELC Gojko Barjamovic said that students may have difficulty initially explaining to their parents the value and applicability of a degree in the humanities. In addition to family pressure, students may also feel lost or confused navigating the opportunities available both in and outside of the humanities, according to Kaminksy. “We act very often as if these things are self-evident or obvious, and they’re not at all,” she said. Individual departments and the division of the Arts and Humanities at large are working to address students’ concerns about careers and concentration logistics through an intensification of outreach events. The advising initiatives highlight alumni as both resources for students and examples of the opportunities available to students with humanities degrees. Sorensen and her staff have produced a brochure entitled “What Can You Do with a Concentration in the Arts & Humanities?” It features short biographies and job experiences of seven alumni who received humanities degrees. Individual departments have initiated their own alumni programs, which have included panel discussions, online blogs, and dinners. 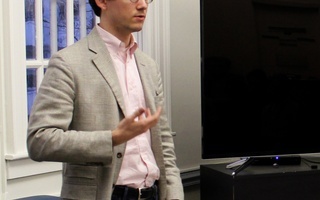 Robson commented that alumni and their career paths are featured on the Department of East Asian Languages and Civilizations website, and the department also sponsors larger events for students to meet with alumni of the concentration. “If they’re in the area, we try to invite them to speak to undergraduates about possible career paths and things to open their eyes to different possibilities,” Robson said. Alumni interviews, quotations, and biographies are featured on the websites of the majority of Arts and Humanities concentrations, including Hist and Lit, English, Comparative Literatures, Philosophy, and Music. The Office of Admissions and Financial Aid has also been emphasizing the humanities in their recruitment and information programs. Senior Admissions Officer Bryce J. Gilfillian ’12 highlighted an admissions video used for recruitment that features the humanities. Gilfillian added that the inception of the Theater, Dance, and Media concentration and the reopening of the Harvard Art Museums has led to some “humanities-specific communications” that were sent to prospective and admitted students via email. With the end of the semester approaching and the recent appointment of History of Art and Architecture Chair Robin E. Kelsey as next year’s dean of the Faculty of Arts and Humanities, it remains to be seen whether the trend of career-oriented marketing of the humanities continues. President Drew G. Faust and visiting professor Leon Wieseltier discussed the impact of technology on intellectualism and the humanities during an event at the Law School on Tuesday.